I’ve come to Fate in the last few years. I’d begun playing with the mechanics just before the Fate Core Kickstarter launched. Now I’ve run it online and f2f, and I’ve adapted several Fate elements into our long-running homebrew, Action Cards. Since Fate Core’s arrival, it has been well supported by Evil Hat and third-party publishers. I’ve put this list together to help new players figure out what’s available for the system and what they need to buy. I’ve broken this into several parts, beginning with the core rulebooks. I then look at other Fate Core products from Evil Hat (and the Fate Core Kickstarter) and secondary resources and products. After that I examine several third party settings in detail, focusing on those available both in print & electronically. Finally I look at pdf products (settings and rules) and potentially useful Fate products from earlier editions. I’ve made some arbitrary distinctions here, so some products might be under a different umbrella. I’ve undoubtedly missed some as well; comments and suggestions appreciated. I’ll try to update this every few months. Also, though I mention it later under Online Resources, I need to give another shout-out to the Fate Roleplaying Game SRD site. It has the best online support for Fate players new and old. Fate is a universal rpg, like GURPS, Savage Worlds, or Hero System. It offers a more abstract approach to than those systems. Fate builds on the earlier Fudge System and has had several editions/ evolutions. It uses a set of unique dice- six siders with 0, +, and – sides (2 each). Rolling a set of four yields a value from +4 to -4, with most results in the middle. A 2d6 variant is possible, subtracting one die from the other, but it offers more swingy results. Players generally roll dice for actions, add a value (skill or approach), and compare it to the opposition’s value. Fate gives players several ways to affect and modify dice results after rolling. Fate builds on simple concepts to define characters: Skills, Aspects, Stunts, Stress, and Extras. These can be easily tweaked and changed. Most operate with an elemental principle, making it easy for players and GM to tweak. A few skills can define a setting. Players usually add skill values to die rolls. The pool of skills for Fate can be tight: 18 for base Fate, 14 for Atomic Robo, and 6 for Fate Accelerated. These connect to the four actions: Overcome, Create an Advantage, Attack, and Defend. That mechanic makes it easy to figure out what a skill can do. Aspects are awesome. These are descriptors for a person, place, or thing. They have a quick and easy mechanical effect in play. When you “invoke” an aspect you can gain a +2, reroll dice results, or create an effect. Things like aspects on a scene (Stacks of Crates, Darkened Corners) encourage players to interact with the environment. Trouble Aspects operate like disadvantages or flaws in other systems, but offer more player control and actual utility at the table. Other games use aspects as well, but I appreciate how tightly they’re baked into Fate’s structure. Fate’s damage system makes for colorful results and hard choices. Damage is called Stress and has two tracks: physical and mental. The abstract nature of Fate means many different kinds of conflict can happen using the same base procedures. When players take stress, they have deal with it immediately through marking a box off their stress track and/or taking consequences. Consequences are essentially wound aspects which create problems as the fight drags on. You can easily craft different character roles and powers. Stunts are something like feats, talents or advantages in other systems. Fate has a simple set of options for defining these, making it simple to create new ones. Extras represent more potent or unusual special abilities. Fate’s abstraction means that these can be easily built from other parts of the system. If players want an effect for their character there’s a way to define these via collections or combinations of stunts, skills, or aspects. It doesn’t take me long to shift Fate to new campaigns. Like other Universal systems, you have to spend some time doing additional tooling to fit the game to the genre or setting you want to play. Fate makes that easy and builds in player collaboration to create campaigns from the start. That makes it easy to use out of the box, with just a few choices needed about how to handle niche elements like Magic, Powers, Cybernetics, and so on. Caveats: Fate operates differently from many other games. Those accustomed to lighter rules or more narrative games, might be unsure about how ‘present’ the mechanics are. If you’re accustomed to games with more defined rules for cases and exceptions, Fate can be hard to grok. It took me some time to finally get how Aspects worked. The abstract mechanics can take getting used to. For example, some gamers are comfortable with superpowers handled purely as aspects, while others want a more rigid list of choices. This potentially means GMs have to negotiate with players and tweak rules to get what they want. But that’s a fact of any universal system and Fate offers a host of tools and examples for that. Another stopper can be the Skill Pyramid. In my experience players can get annoyed/lost with that. Fate also has a restrained system for character advancement. Some players prefer characters get something after every session (exp, development points). Finally, some people hate Fate dice. I’ve had that reaction in my group. 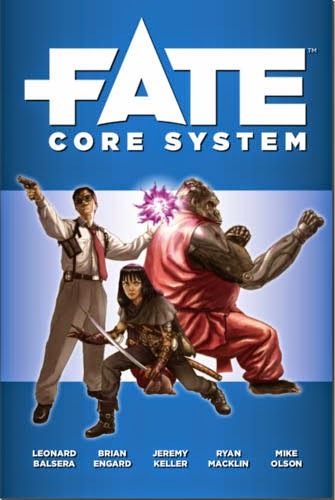 The base book for Fate Core. This contains all the rules needed to play. For simplicity’s sake I’m going to refer to this as the Core book for this entry. Note that there’s another complete, but highly simplified version of the Fate Core system available, Fate Accelerated (see below). The Core book offers a universal version of the system, not tied to a setting or genre. Many examples use a generic fantasy backdrop, but you can easily see how to adapt the system. After basic concepts, the rules move to campaign creation- showing how players and the GM can collaboratively decide the genre, tone, and issues for a campaign. This leads into character creation chapter which the Core book emphasizes as its own play. Players generate aspects for characters using the “Phase Trio.” Each creates a story for their character and then passes it to the next player. They then add their role in that tale. This connects players at the start, show who the characters are, and aids in developing aspects. The rules then move into chapters covering elements of the characters: Aspects, Skills, and Stunts. It presents a streamlined set of 18 skills and three stunts associated with each. It presents clear mechanics for adding more. That connects to the next section, Actions and Outcomes, which covers resolution. Fate Core offers four kinds of actions. Overcome is the broadest. Players use this when trying to get past an obstacle: climbing a wall, investigating a crime scene, running a race. Opposition can be passive with a set difficultly or active with an opponent rolling. Players use Create an Advantage to add an aspect to someone or something: setting traps, creating a good mood, finding weak spots in a castle’s defenses, tripping an opponent. Finally Attack and Defend inflict or protect from harm in conflicts. Different skills have different access to these four actions. Levels of success affect results. Ties offer a small advantage, while beating a target by 3 or more means Success with Style which confers extra benefits. These mechanics come into play in Contests, Challenges, and Conflicts. Conflicts add mechanics for Stress (damage) and Initiative. For conflicts with a spatial or relational set up, Fate uses abstract zones to define the battlefield. A neat element of Fate conflicts is Concessions. Badly hurt character can, before the dice are rolled, concede a conflict. They’re taken out, but have a say in what happens to them. They lose, but avoid truly terrible fates. The rest of the Core book presents advice on GMing Fate, character advancement, and extras (with examples). The short version of all that is the Core book provides all the basics to play Fate Core. It presents the material well, with plenty of example and sidebars. The page design makes getting through the book easy and the consistent art style sells the universal feel. I’d recommend this as the starting point for getting into Fate. It’s reasonably priced for a hardcover ($25, or less online) and available Pay What You Want as a pdf on RPGNow. A condensed version of the Fate Core rules. There's some debate about whether Fate Accelerated (FAE) should be considered its own system. While it maintains Fate Core’s basic concepts, it feels distinct to me. Some supplements specifically serve FAE and it has a separate community on G+. Fate Accelerated aims for speeding through character creation. Rather than Skills, characters have scores in six different ‘Approaches’: Careful, Clever, Flashy, Forceful, Quick, and Sneaky. When facing a challenge players can suggest what approach they're taking and how it works with the situation. Some approaches more obviously fit (Forceful perhaps for kicking a door in). But others can be applied by providing appropriate narration. Picking the highest score approach might seem logical, but the player and GM negotiate about what fits. Approaches by their nature may have additional effects. For example, a Careful approach might take longer, eating up valuable time. The rest of the system- Aspects, Stress, Action Types, Consequences- remains intact but stripped down. FAE presents stunts via two Mad-Lib formulas, defining a +2 bonus to a specific action or a cool thing they can do once per session. FAE presents all of this in just 48 pages, including artwork, reference sheets, GM advice, and sample characters. That's kind of amazing. The simplicity stands out and it offers a great introduction for new gamers. The price point and size means that it could be used to test the waters of the Fate with a group. While it might be slim, FAE has proven robust. Players have hacked the mechanics for many different settings and games. Approaches, for example, can reflect the logic and dynamics of a setting, like classic D&D stats for a fantasy game. Fate Accelerated's a solid game and lends itself to on-the-fly adaptation. Most importantly there's a strong linkage between Fate Core and FAE. That means supplements and materials for one can easily be ported to the other. This supplement, released in parallel with the Fate Core rules offers tweaks, hacks, options, and examples for the system. Rather than feel like a collection of things left out, The Toolkit comes across as kind of masterclass. We have a gaggle of smart veteran GMs gathering to throw around variants & changes and discuss the implications of those. 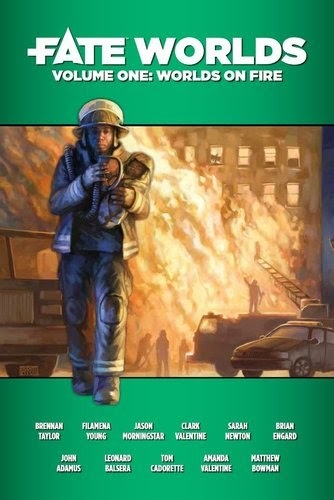 The first several chapters look at the key character elements: Aspects, Skills, and Stunts. These present new ways to handle them and importantly discuss the impact of those changes on play. Other chapters cover campaign design, niche events like chases & social conflict, playing out combat, and beyond. A large section, 70+ pages, presents ideas for designing magic systems. That includes five distinct examples. 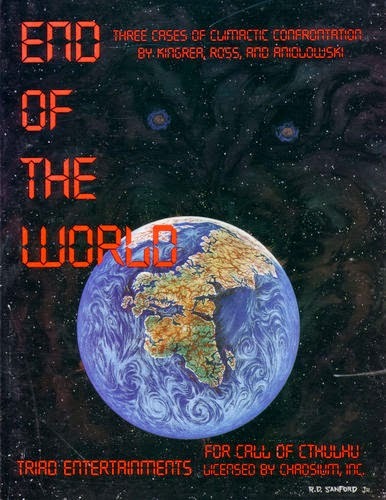 The final chapter lays out options for many different sub-systems including Kung Fu, Cyberware, Gadgets, Monsters, Warfare, Duels, Vehicles, Supers, and Horror. Nothing in the Toolkit is essential to playing Fate (Core or Accelerated). You don't get the sense that this material makes the base rules feel unfinished. However GMs looking at how to reshape Fate to fit their style, an existing property, or a particular genre will want to pick this up. It is a grab bag and not everything will be useful for every GM. But the general models will provide a great insight and inspiration. Evil Hat has released two volumes of Fate Worlds- Volume One: Worlds on Fire and Volume Two: Worlds in Shadow. 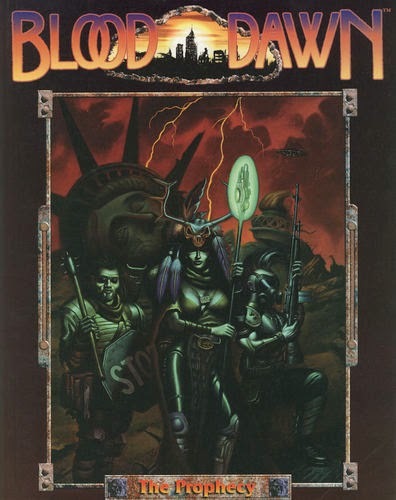 Each volume collects a half-dozen adventures, campaign settings, or genre frameworks. How are these useful? First, they offer easy variant Fate settings GMs can use to try out the system. 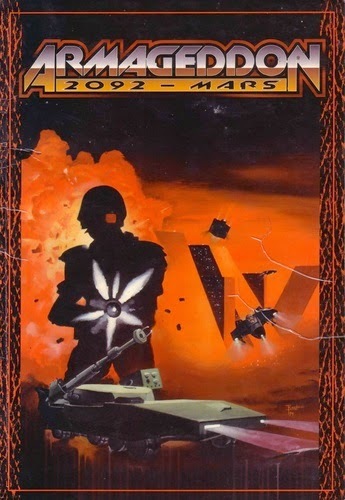 Second, the authors have developed exciting and original universes, worth playing in Fate or any other system. Third, they show how a GM can create new and varied campaigns. Each plays with Fate's system for player interaction and issues. GMs can pick up tricks from these slightly different approaches. Fourth, several entries model new mechanical elements. We see new subsystems for mutations, capers, superpowers, air combat, and a host of other concepts. While all the entries are solid, each volume has some that hooked me. Volume One's "White Picket Witches" offers a CW-esque supernatural television drama. It hits the right beats and shows how to run a game of social conflict with strong inter-group tension. "Fight Fire" presents a game of Firefighters. That sounded unappealing to me (or at least difficult to model). But this chapter gives a variety of mechanics and ideas on structuring these stories. Now I'd love to run or play such a game. "Kriegzepplin Valkyrie" presents a game of post-WW1 dramatic air-warfare. It has an great set of vehicle rules, as well as ideas on how to tune Stunts to a particular setting. Volume Two includes "Crimeworld" and you should buy this. Written by a showrunner for Leverage, this offers advice for running capers, heists, and con games at the table. While it's tuned to Fate, the concepts could easily fit any rpg. If you're a GM who enjoys running these scenarios, you ought to pick this up. "No Exit" takes on psychological horror. Some (including myself) has suggest Fate's less useful for horror because of its focus on player-empowerment. This set up works around that and shows how aspects can be engines to explore and haunt the characters. "Camelot Trigger" has mecha rules; nuff said. A complete, stand-alone version of Fate Core covering the Atomic Robo comic universe. It's a large, solid book with incredible layout and illustrations. Most importantly it captures the feel of the original comics and the emphasis on "Action Science." That's a modern pulp with high pseudo-science weirdness. Atomic Robo takes a streamlined approach to mechanics, rearranging and paring the skill system. It emphasizes on-the-fly character creation in stunts, aspects, and skills. It also brings several new or tweaked mechanics to the game: brainstorming, factions, organizations. Atomic Robo shows how Fate can simulate a particular genre. As well, it offers some of the best examples of play. Recommended if you're interested in the comic or the idea of modern pulp. You can see my review here. The One-Shot Podcast has some actual play here. Venture City Stories: Presents superhero setting of ambiguous morality. Includes a new and useful approach to superpowers. My full review here. Significantly shorter than later entries in this series. The Secrets of Cats: A world where empowered cats secretly use their talents to protect helpless humans. 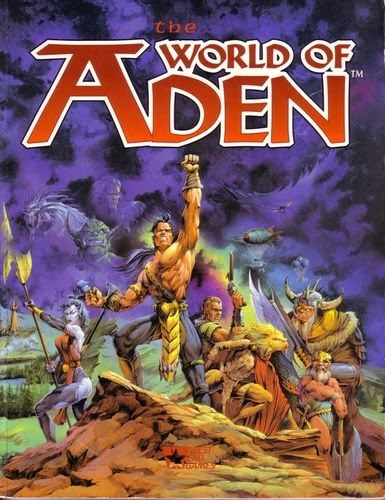 Includes a setting, magic system, and unique stunts. Comes with a sample adventures. Save Game: A strikingly illustrated campaign where players take the roles of characters from forgotten video games. In a retro world of information they battle against an evil glitch. Includes cool mechanics modelling video game elements via skills and stunts. Adventure/campaign presented. The Aether Sea: For FAE. Fantasy sailing ships in space. Riffs on games like Spelljammer, but keeps a classic fantasy feeling. Includes a magic system and rules for building and handling ships in play. Sample adventure. Romance in the Air: Romance and drama meet skyships and turn of the century events. I especially like the description of it as Last Exile meets Downton Abbey. Offering cool twists on skills as well as a vehicle system. Includes an extensive grand tour adventure/campaign. Psychedemia: Future teen psychics live in a military academy and explore a mental overworld. Simplified and interesting skill system, with nice emphasis on 'school' social politics. Simple psychic rules. 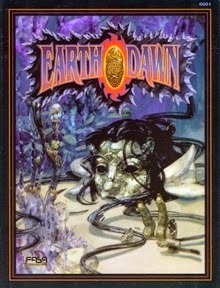 The game includes a well defined campaign frame/adventure with a distinct goal. There are several unique secondary products for Fate. Generally each player will need a set of Fate Dice. Evil Hat and other manufacturers produce these. They can also be found listed as “Fudge Dice.” The Deck of Fate is a set of cards to use as a Fate randomizer. This 96-card deck includes cards covering the distribution of result across the dice, as well as inspirational phrases. Two sub-sets can be used for generating random approach values for Fate Accelerated or aspect starting points for any character. Finally, Campaign Coins has created a set of special Fate tokens in several styles and colors. Three projects came out in conjunction with the Fate Core Kickstarter, each tuned to a different campaign setting. 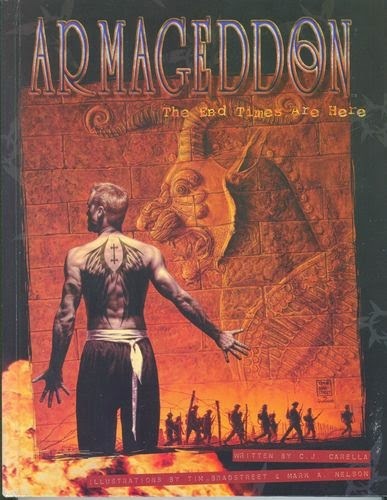 The Fate edition of The Day After Ragnarok presents Kite Hite's post-apocalyptic mythic pulp-action take on an alternate 1940's. It has examples of character archetype templates and shows how an existing setting can be broken down via Fate, with campaign styles and related issues. The setting's awesome. I've written about it before. The Fate Freeport Companion converts the classic Green Ronin fantasy setting to Fate. Beyond offering a great fantasy city sourcebook, the Companion also shows one way to model fantasy. In particular it uses a FAE-like system to model skills, breaking those down into the classic D&D stats. It also has a magic system, example racial packages, and ideas on how to model equipment. Strange Tales of the Century goes in another direction. It's a sourcebook for the Spirit of the Century pulp setting. While SotC uses an earlier version of Fate, this sourcebook has Fate Core mechanics throughout, in particular archetypes and new stunts. 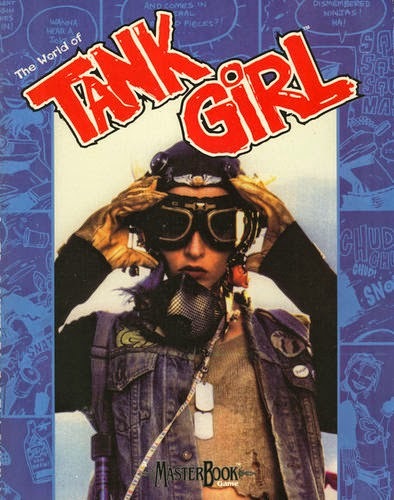 Mostly the book offers a complete pulp history for the setting, using the lens of a fictional magazine publisher. Jess Nevins knows his sources and brings them to bear. Recommended for any GM planning on running a pulp game. Fate Roleplaying Game SRD: Randy Oest put together an amazing and highly usable site. This takes all of the open material from Fate Core, Fate Accelerated, and the Fate Toolkit and organizes it. I keep this open to refer to whenever I'm working on Fate. Essential. Community Fate Core Extensions: If you're looking for cheat pages, character sheets, rules variants, or adaptations to any existing game or property, you should check here. Some awesome tools available here. You can see links to various hacks (like my ambitious failure, Scions of Fate). G+ Fate Community: G+ has vibrant community looking at play styles, rules implementations, and setting hacks. A great place to post questions. There's a smaller but equally rich community covering Fate Accelerated. Fate Points: While it seems to have podfaded, Fate Points still has a set of interesting podcast episodes available. Fate Codex: Mark Diaz Truman has a Patreon campaign developing a semi-monthly e-zine of dynamite Fate materials. Supporting the campaign gets you access to the current issue. I believe previous issues can also be purchased. Worth it. A complete fantasy setting built with Fate Core. It aims to break away from Western-style fantasy. Instead Ehdrighor crafts a world echoing tribal and indigenous cultures. The art and style is striking. At a glance you could assume that the material simply borrows Native American elements. But there's more going on. You can see host of different sources brought together in background and history. That's both a strength and a weakness. On the one hand, Ehdrighor has a unique setting. It aims at new kinds of stories and social relationships in play. The bibliography cites Lakota myths, Chinese wuxia films, and Japanese anime. On the other hand, the background and setting can be dense. It lacks easy entry points for new players. That depth could be off-putting for new players. GMs will have to put in the work to bring this to the table as a whole. 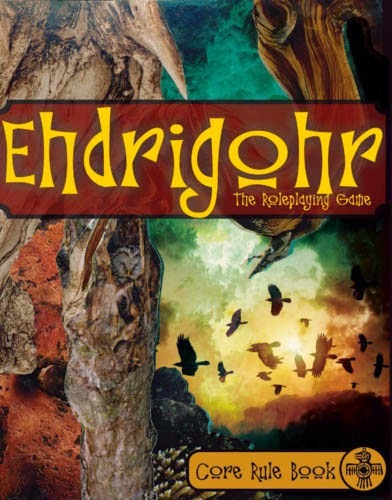 Mechanics: Ehdrigohr offers a complete game and has interesting tweaks to Fate Core. Success with Style has variable effects called Power Cascades. That's combined with the concept of power levels, which can be boosted via Fate Point. Character creation reflects the setting elements by moving through a different set of steps for aspect creation. There’s a mechanic for “burning” important past memories to boost actions. It uses an expanded version of the skill list with new associated stunts. Ehdrigohr also includes several kinds of powers and magics, including martial arts. GMs looking for new approaches to magic, especially tied to cultural elements, might check this out. You can hear an example session here at One-Shot Podcast AP. Vikings vs. Dwarven Mecha (!!!). The duegrar have crafted metal giants which stride across the land. Their conquests have driven the clans back and into despair. Hope comes in the form of heroes, some armed with strange and uncanny magics. The Bonebonded have chained themselves to the bones of ancient fallen giants, moving them as uncanny warmachines. Others have been gifted with supernatural gifts or ancient magics. Characters belong to one of the distinct clans, shaping their personality and purpose. 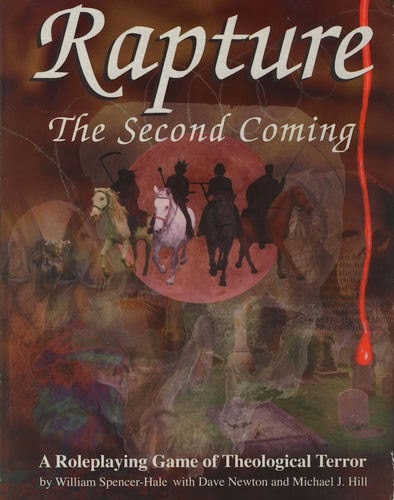 The primary struggle is between the humans clan of Midgard and the encroaching duegrar. But survival of the PCs’ community against tensions within and rivalries without underscores this war. Iron Edda is not a complete game and requires Fate Core for play. It includes two sample adventures. Mechanics: Iron Edda opens with a large and interesting section on collaborative "Holdfast" creation. Thus could easily be adapted to the creation of communities for other games. The mecha and giant system remains fairly abstract, but has an interesting discussion of scale. That includes how different scale actors interact. Of the two magic system offered, Rune Magic presents the coolest twist. Characters buy runes as a skill with a single approach, related to the particular rune chosen. These can affect things at a larger scale. A Kickstarted project, Iron Edda is currently only available as a pdf. However print copies should be available in the next few months. A wuxia-inspired setting built on steampunk, powered by magical jade of various colors. It's a personal failing I'm not better acquainted with The Legend of Korra. From what I've seen, Jadepunk's key setting of Kausao City echoes many elements of the series. Kausao's a decadent crossroads, filled with conspiracy and corruption. Plots and plans from nations of the wider world come to fruition here, the one source of mysterious black jade. Jadepunk characters come from among the Jianghu, the undercurrent of rebellion within the city. They're heroes, but not necessarily bright and shining. They battle with rival factions, agents of the ruling Council, and anyone who hopes for oppression and control. Players build characters empowered by jadetech weapons, martial techniques, or sheer native skill. Jadepunk's a complete rpg in a single, light volume. It presents an evocative and easy to grasp energetic setting. 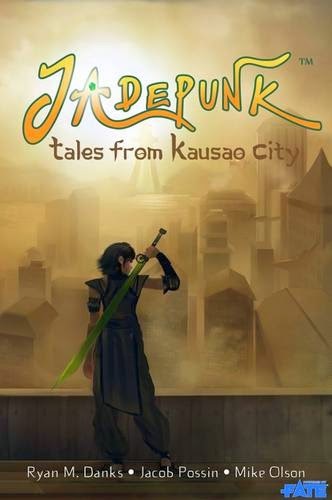 Mechanics: At 128-pages, including a rich setting, Jadepunk offers one of the best distillations of the Fate system. It builds on Fate Accelerated, with characters built on values in six paths (Aristocrat, Engineer, Explorer, Fighter, Scholar, and Scoundrel). It keeps things simple with a well-designed set of rules for players to build different kinds of assets. These can include Allies, Devices, or Techniques. This last category includes martial arts styles. Later small pdf supplements have added more example devices and schools of fighting. Jadepunk also includes simple and elegant mechanics for handling one-on-one duels. Complete and highly recommended. A sweeping sci-fi universe of transhuman technology, zero point energy, and an explosive variety of peoples and cultures. Uplifted animals, sentient starships, constant collective information interfaces, and beyond. A galactic far-future take on SJG's Transhuman Space or a less horrifically bent version of Eclipse Phase, Mindjammer offers bleeding edge sci-fi where identity and self have become liquid and uncertain. I think of Traveller, Fading Suns, and even Diaspora as old-school classic sci-fi settings. This setting is less about 'hard sci-fi' and more about their physical view of humanity's future. Mindjammer's a mammoth stand-alone rpg. It presents a coherent and vast background built on key ideas about technology. Groups will find plenty of room for their adventures, carving out their stories in their own corner of the galaxy. If you're looking to do wide-screen, posthuman science fiction, Mindjammer's amazing. 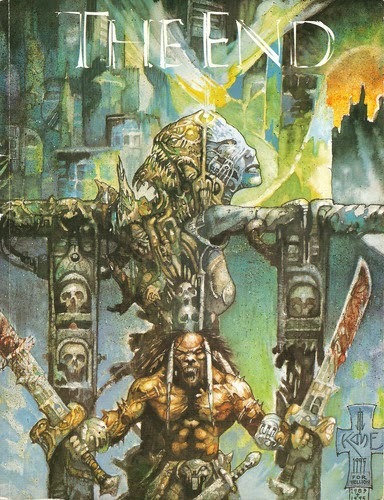 Mechanics: Mindjammer should be the go-to sourcebook for GMs considering a sci-fi Fate game. It has extensive systems for starship building, genoforms, mechanical & biological PC enhancements, technology levels, cultural interactions and activities, artificial beings, star systems building, and a host of other facets. It offers a massive toolbox for presenting sci-fi elements in a Fate game. But Mindjammer is not a generic sci-fi rpg. It has a rich backstory and posthuman tech approach. 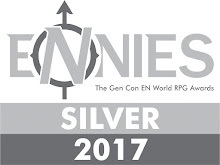 GMs aiming for something else, say closer to Firefly or Ashen Stars, will have to carefully examine the rules. Some systems fit well, while others require extensive retooling. Mindjammer's an awesome complete game offering inspiration for handling other sci-fi tropes in Fate games. A classic wuxia setting, along the lines of Swords of the Middle Kingdom or Qin. It presents a fantasized version of ancient China, called Shenzhou. That's more a playground than a historical analog. It opens by presenting easily accessible elements of the setting: a little bit of history, snapshots of the people and places of the campaign province, and an overview of the main city of Bao Jiang. This focuses on flavor and hooks, building a sense of the setting rather than burying the reader in history and minutiae. I appreciate that because other games love their background so much they make it almost impenetrable for new players. 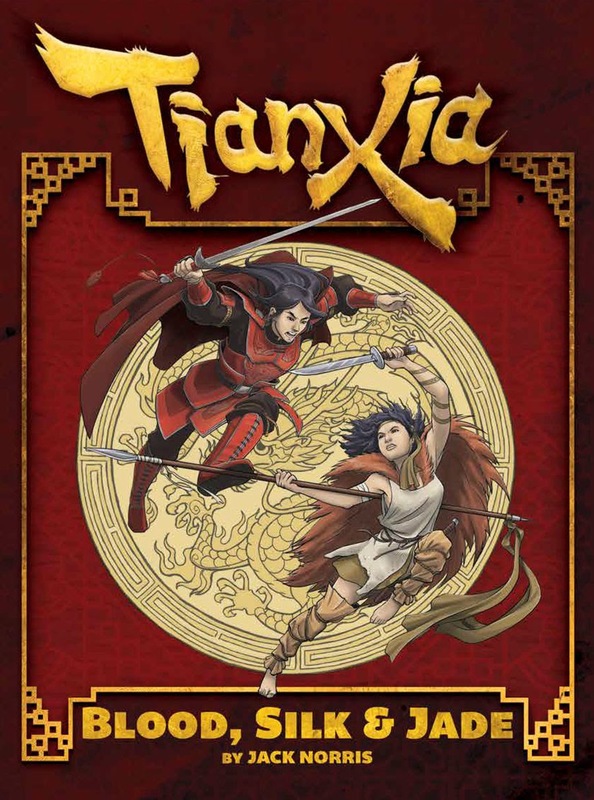 Tianxia feels like a great and fun romp, with evocative characters and breezy GM advice. Think Storm Riders, Bride with White Hair, or wuxia TV Shows like The Handsome Siblings or Condor Hero. Great art pushes it over the top. Mechanics: Tianxia sticks closely to Fate Core. It modifies a few skills and offers some optional rules. Tianxia makes the greatest shift in handling martial arts. Players advance in ranks of Jianghu. Combatants of superior ranks gain an advantage. More importantly characters learn distinct styles made up of two parts: Element and Body. One character might know Iron Tiger while another could know Lightning Crane. Each half gives three techniques, essentially stunt-like effects or maneuvers. Once a character has learned all six techniques, they have access to a secret seventh technique. The 36 unique combinations all have a special power. The system's quite cool and interesting. It manages to offer some complexity and crunch without bogging players down. Tianxia presents other interesting sub-systems and does a great job looking at the impact of campaign aspects. It doesn't offer anything in the way of wuxia magic (Alchemy or Daoist mysticism), focusing instead on the fighting styles. But that's a minor quibble. Several publishers have produced primarily electronic campaign settings games for Fate. Some offer new properties, while others present a conversion of an existing concept. 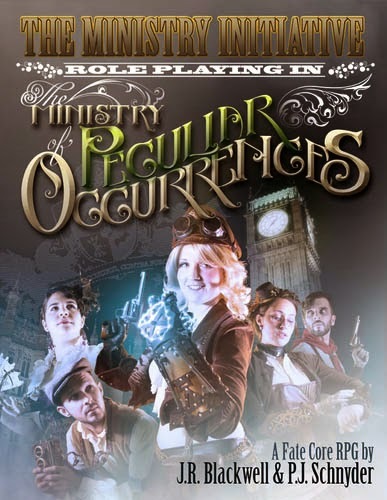 The Ministry Initiative: A steampunk Victorian rpg based on the novels by Pip Ballantine and Tee Morris. (adaptation, complete game). Modernity: A modern "secret world" horror game, with players having rent the veil and seen behind the curtain. (adaptation, complete game). OmegaZone: Two products, the first is the OmegaZone Instant Setting Deck, 56 cards which can be dealt to create a randomized post-apocalyptic setting. The Setting Guide plays off of that and provides guidelines for use with Fate. (new, requires FAE). Starship Tyche: A sci-fi setting with more than a little wiff of Star Trek to it. Built on Fate Accelerated. (adapted?, complete). These are third-party supplements covering genres or meta-concepts. The Accelerated Book of Approaches: A short book examining each of the six basic FAE approaches. It includes several new approach structures based on other games and genres. Aeon Wave: A science fiction one-shot scenario for Fate Core. Crush! Kill! Destroy! 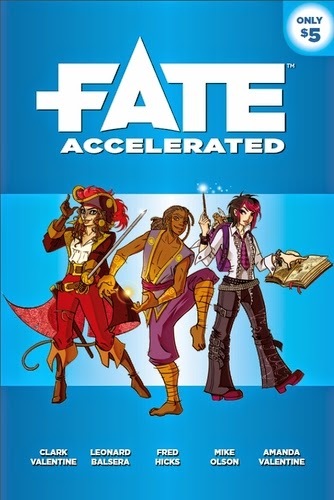 : A stand-alone adventure for Fate Accelerated, complete with pre-gens. Atomic war and alien invasion force a 1950's family to learn survival tactics and discover way to battle the invaders. Fateful Concepts: Character Aspects: Designer Ryan Macklin looks at the thinking and economy behind character aspects. Five Elements: A magic system for Fate Core. Grim World: A supplement for Fate and Dungeon World providing elements for a dark fantasy game, including monsters, classes, and items. A Spark in Fate Core: An expansion of the collaborative world building mechanics for Fate, based on the concepts developed by Jason Pitre for his Spark RPG. 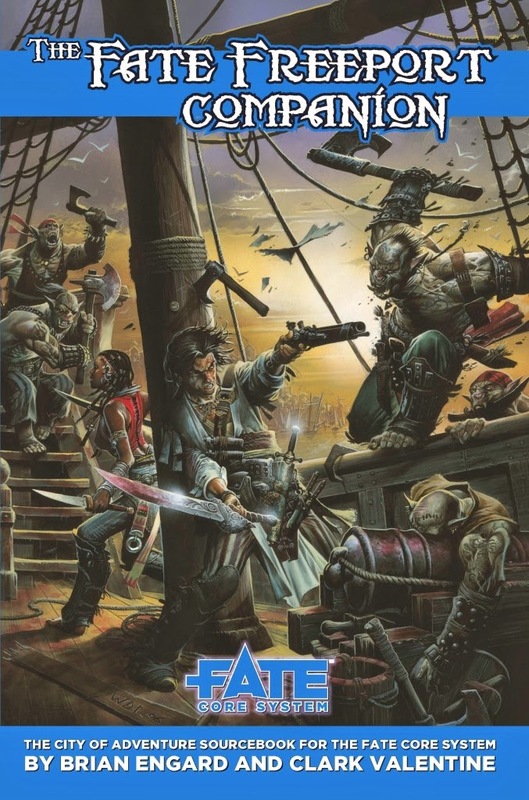 Starbright Publications: This company has put out many Fate supplements, some covering particular genres (Cyberpunk, Steampunk, Zombies) and others adapting the company's previous settings. Reviews generally have not been kind, with the aspect 'shovelware' invoked. They have many products, but I encourage you to check reviews and online assessments before investing. 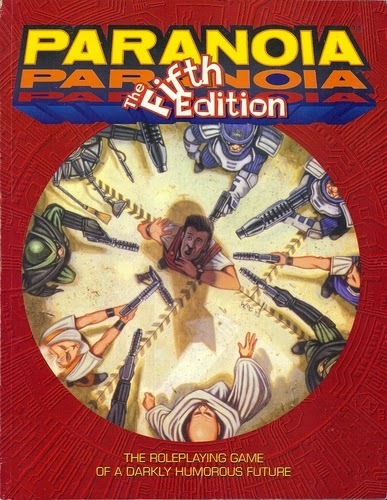 Before Fate Core, Fate had several different editions. Designers created unique based on different system concepts. Fate’s abstract nature means that many offer interesting ideas, settings, or variant toolkits which GMs could bring into Fate Core. Here are only a few of those worth looking at; many more exist. Strands of Fate feels like Fate meets GURPS to me. It takes a constructed and detailed approach to the mechanics, shifting from skills to characteristics and linked stunts. Worth looking at for those interested in a point-based approach. Supported by Strands of Power. A streamlined version of SoF powers the cyberpunk rpg, Nova Praxis. Legends of Anglerre is a massive and complete fantasy game. While it has a distinct setting, the material here can be easily repurposed for many kids of fantasy. Offers excellent ideas on building constructs, handling armies, 'plot' stress, and a host of other issues. Sadly OOP but highly recommended for anyone wanting to do fantasy with Fate, despite using an earlier version. The Dresden Files is a two-volume adaptation of Jim Butcher's urban fantasy setting. 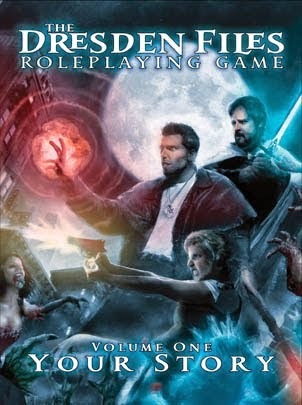 Rich, comprehensive, and amazingly presented, The Dresden Files raised the bar for licensed games. Has interesting magic systems adaptable to Fate Core. 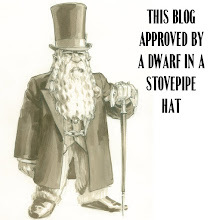 Evil Hat has promised a new edition, but has warned that it’s significantly down the road. Diaspora offers a hard sci-fi frame using Fate. Originally designed to emulate Traveller with more flexible mechanics, Diaspora is a smartly engineered product. In particular the Cluster design system shows an interesting approach to collaborative campaign building. Bulldogs! presents a goofy, high action space opera. It aims for somewhat comedic action in a galaxy filled with aliens. The Kerberos Club has appeared in several system flavors. The Fate version uses an approach called "Strange Fate." Powers are built as hyper-skills with scale ranks and constructed trappings. Strange Fate uses d6 substitution to model relative power levels. The system for constructing powers, while opaque at times, offer an interesting model for supers in Fate Core. You can see my review here. Base Raiders: Superpowered Dungeon Crawling also uses a version of "Strange Fate" but for a world in chaos. Most superbeings have vanished overnight leaving behind abandoned tech, lost bases, and unfinished master plans. Now low-powered explorers have gone to seek fame, fortune, and secret origins among these ruins. Really awesome. You can see my review here. ICONS is a superhero rpg loosely based on Fate's mechanics. The new Assembled Edition nicely cleans up and refines the system. It aims to be light and fast with random character generation ala Marvel Super Heroes. ICONS changes the terminology but keeps some of the system's approach. That actually made it harder for me as I tried to disentangle the two and kept referring to the ICONS concepts by their Fate names. In re-listening to this episode, I realized I use the phrase “off the reservation.” Hearing myself say it, I realized how problematic that is. A Google search suggests that’s the case. I’m going to excise that from my vocabulary. RPGs: Action Cards continues to work for our group. We've refined it significantly and it really hums along now. The system matches my style of running. We’ve taken what we like from Fate and brought that over to our base game. The ability to print up nice cards via DriveThru Cards has also upped the quality of the presentation. Action Cards doesn't get in the way when I run and pushes me to play better. On the other hand, I’m biased since I wrote it and we’ve been playing it since ’99. 13th Age has also been a revelation. If I’m doing that kind of game- hack or dungeon crawl, this will be my go-to system. I like what it offers me as a GM: story-sparking tools, neat constraints, and great monsters. In the past when I’ve written up bad guys and foes, I’ve usually sketched them and added one or two cool things they can do. 13th Age takes something of that approach to stat blocks. I love putting fights together and seeing what actually happens. More than most games, it has made encounter-building a pleasure for me. I’ll limit my picks to three other games which stuck with me. First, Kingdom changed my perspective on community based games. It showed how you could play out the central elements of those stories. I played Kingdom first at the end of 2013 and then several times this year. I've haven't posted about it because I'm still turning over what to say. Each time we run Kingdom I see something new about the system and the kinds of play it generates. Second, while I only played Psi*Run once I really loved that. I need to try that again online and see how it works f2f. The collaborative background building as a failure mechanism can be super-fun. Third, I played a prototype written by Keith Stetson at Metatopia. I really, really want to play the finished version of that. BOARD GAMES: This year I played 165 session of board games. Far and away Imperial Settlers was my favorite new game. I had loved 51st State from the same designer, but that game was a bear to learn. Imperial Settlers, though, teaches easily. It has smart card play, hard choices, and can go swiftly with the right players. I want to buy a second copy of it so I can have the same factions play off against one another. If I have to pick my three other favs this year, I have to go with some older games I either played for the first time or which had expansion. Legendary remains strong, and the additions this year made it even better. That’s one game which Sherri will gladly play any time. I like the Villains version, but the base game remains the best. I know some have said Legendary Encounters works even better, but I really dislike the artwork there. Würfel Bohnanza is the Bohnanza Dice Game, only available in German. It is awesome- absolutely the best dice game I’ve played. It has clever design that’s challenging and keeps everyone involved. Finally, I got to play Ora Et Labora by Uwe Rosenberg and loved that. I keep thinking about the mechanics. But I only played it once so that’s a hard call. I had a couple of gaming disappointments this year. I picked up Praetor, a Roman building game. It was fun the first time I played, but on subsequent replays the cracks began to show. It has serious problems despite some great mechanics. Shadowrun: Crossfire also fell flat for me. That’s too bad because many smart people really like it. The worst game I played this year was Marrying Mr. Darcy, a random, “take-that” piece of idiocy. VIDEO GAMES: I played more board game apps this year, which I lump under Video Games. Of those, Lords of Waterdeep felt like the best implementation. Great interface, smart AI, and easy play make it an absolute pleasure. On the PC, Euro Truck Simulator 2 ate up hours and hours of my time. I’ve actually avoided it because I’m afraid I’ll get sucked in. Part of the draw comes from being able to listen to podcasts (like Serial) or audiobooks while I play. On the console, Dragon Age: Inquisition grabbed my attention like no other game. It has been a while since I’ve really knuckled down and played an rpg like that on the PS3. The biggest disappointment for me this year was Final Fantasy XIII: Lightning Returns. Despite the naysayers, I’d gotten many hours of enjoyment out of the previous two installments. I like the world, like the characters, and enjoy the gameplay. This one pretty much chucked all of that out. I went in super-excited and stopped playing after only a couple of hours.